As nights draw in and days become chilly, our gardens respond to Nature's cue and it’s exciting to see the backdrop of green turn to a rich, varied display of browns, yellows and reds. With this time of year, of course, comes the dying back of borders, windblown collections of leaves, and many of those summer garden visitors are now looking for somewhere to sit out the colder months. There is a very simple way to ensure that wildlife has somewhere to hunker down during the harshest weather, and that's to resist tidying up: By cutting back every stem and scrap of foliage when plants start to look a little dowdy we remove their safe haven. A hollow standing plant stem will provide a great winter retreat for insects, and ladybirds and lacewings will contentedly wait out the winter under loose bark on logs. Piles of stones, twigs and other prunings tucked away out of sight and undisturbed behind shrubs or a shed make a perfect insect-friendly hideaway. 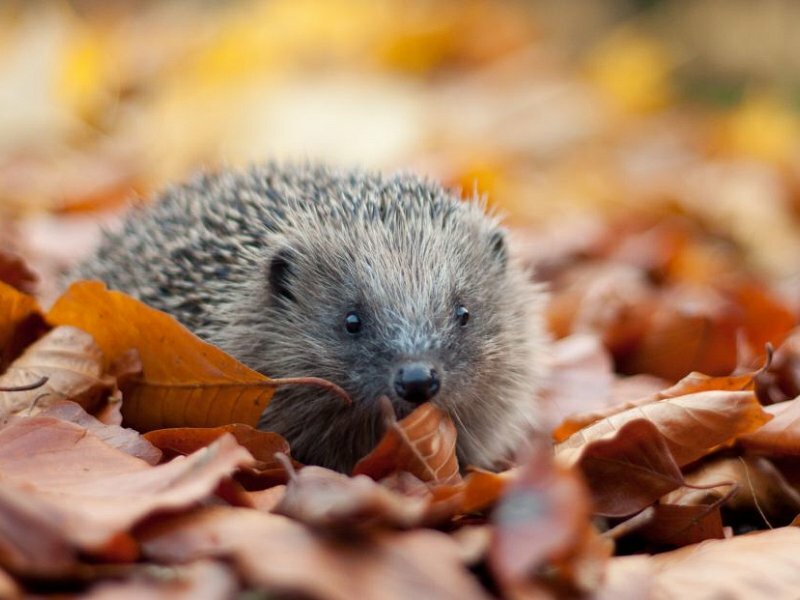 Fallen leaves can be raked into a pile, or left lying as an insulating blanket on borders, and you might even find yourself playing host to a frog or hedgehog – both of which feed on slugs. These gardener’s friends may overwinter in warm compost bins, so please take care if you turn your compost. As well as a safe place to overwinter, all creatures need to eat – even hibernating animals may wake occasionally in need of a quick calorific boost. 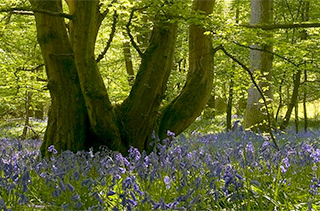 Winter-flowering plants – snowdrops, winter aconites, witch hazel and forsythia will all provide essential nectar. Evergreens such as holly and ivy produce berries that birds will turn to in late autumn and winter, and they will love to forage for insects amongst the dense foliage. Birds and small mammals will benefit if you delay shrub and hedge pruning until after the seeds or fruit have been eaten. So as you are huddled up in the warm this winter it’s good to know that by leaving things as undisturbed as possible in your garden, you are helping many different species to survive the cold weather. Visit our advice pages for tips on wildlife-friendly gardening or phone WildCall, our information hotline on 01273 494777.